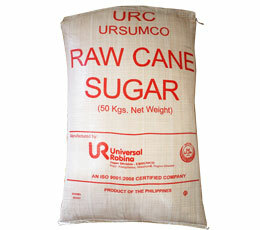 URC SURE (Sugar and Renewables) is comprised of two major divisions, namely: the URC Sugar Division and the URC Distillery. One of its ventures is in the renewable energy business. It is registered with the Department of Energy as a renewable energy developer of biomass fired power cogeneration plant and as a manufacturer of Bio-ethanol. The power cogeneration plant, located in SONEDCO, Kabankalan City, Negros Occidental, provides 46 Megawatts of power to the national grid using bagasse, a by-product of sugar milling, as fuel. 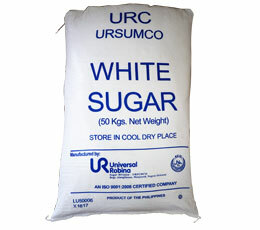 The URC Sugar Division operates 5 mills and 3 refineries across the country with a combined capacity of milling 31,000 tons of sugar cane and producing 33,000 bags of refined sugar per day. They also provide sugar cane milling, refining and tolling services and also trades raw sugar, refined sugar and molasses. The URC Distillery engages in the production of fuel-grade anhydrous ethanol suitable for gasoline blending. It currently produces 100,000 liters per day of fuel-grade ethanol. 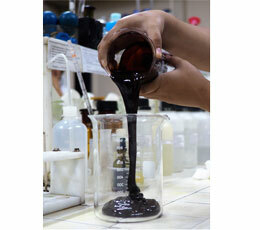 The distillery uses molasses, a joint-product of sugar production, as its primary feedstock. It's also the first ethanol distillery plant in Southeast Asia to utilize a spent wash incineration boiler which ensures zero-waste operations. 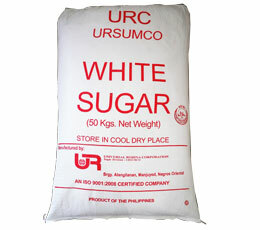 Brown crystalline substance with a characteristic sweet taste and odor in dry form extracted from sugarcane. Clean, fine, free-flowing white crystalline powder, with a color range of 36 – 60 ICU, with no objectionable taste and odor in dry form or in solution; very soluble in water. Clean, fine, free-flowing white crystalline powder, with a maximum color of 35 ICU, with no objectionable taste and odor in dry form or in solution; very soluble in water. A by-product in the production of sugar; dark brown viscous liquid with a characteristic alcoholic odor and a bittersweet taste.